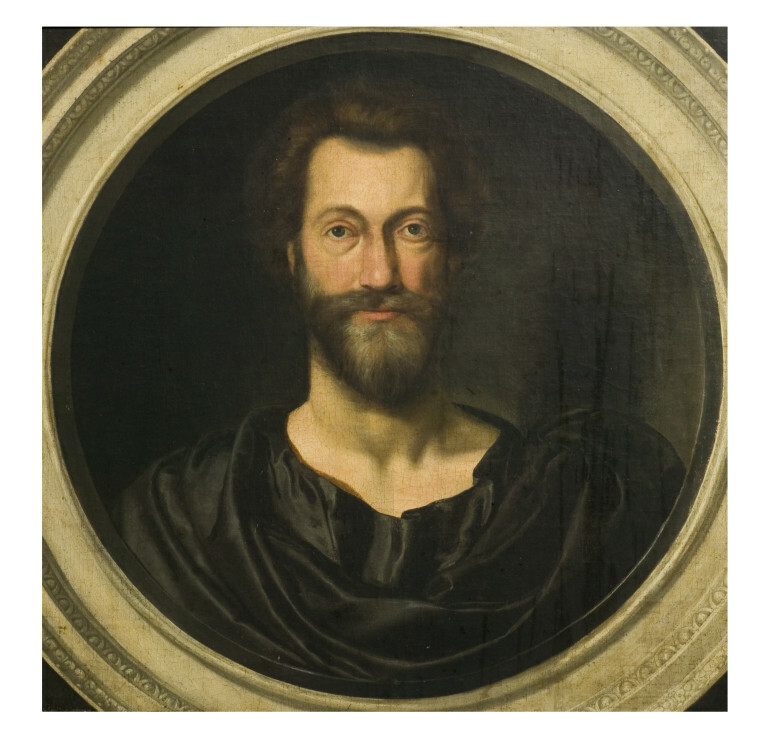 Historical significance: The poet and clergyman John Donne (1572-1631) was Dean of St Paul's Cathedral from 1621 until his death. There is another version of this portrait in the Deanery of St. Paul's, which was engraved by Pierre Lombart (1612/13-1682) and published as a frontispiece to Donne's published Letters, 1651. The V&A's painting is thought to be the primary version, the St Paul's a later copy. Dyce 5 was previously attributed to Cornelius Johnson (1593-1661), a prolific portraitist active in England from around 1618. His early portraits are often bust-length and surrounded, as in this painting, by a trompe l'oeil frame. 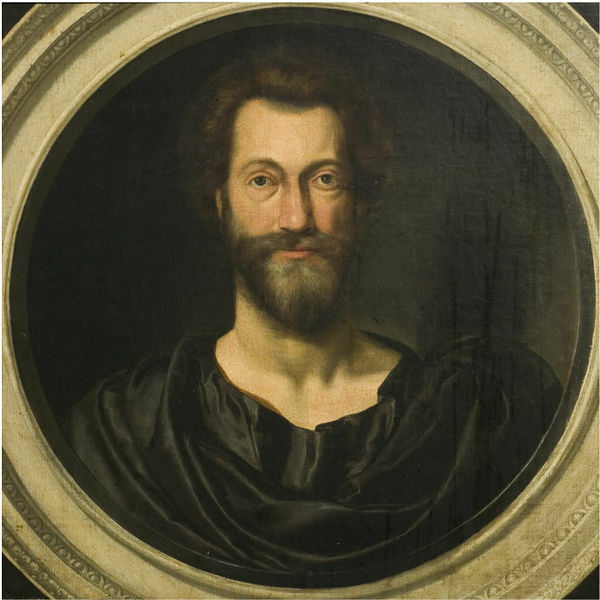 As David Piper remarks in his book The Image of the Poet, this, along with other portraits of Donne, is 'out of line with the ordinary portraits of the time, and [has] a marked element of role-playing' (p. 28). The circular format and classical drapery of this portrait relate to medallion reliefs on Roman sarcophagi. Donne's gaze in the V&A painting is directed slightly upwards, rather than directly forward (a subtlety which was not translated to the St Paul's copy). This inscription corresponds to that on the engraved frontispiece of the 1651 Letters. Donne's age at the time of the portrait's execution is given incorrectly as 59 rather than 49. The portrait was executed in 1620, in the months before Donne was elected Dean of St Paul's, and during his tenure as reader in divinity at Lincoln's Inn, his old Inn of Court. This portrait came to the museum in 1869 as part of the large bequest made by the literary scholar Alexander Dyce (1798-1869). According to the Handbook of the Dyce and Forster Collections (1880), it was formerly in the collection of Samuel Weller Singer (1783-1858), also a literary scholar.